See? I told you it was cute and cuddly! Stamptout is a ReddBubble shop that sells beautiful t-shirts, cards, and prints - all of which are adorned with some truly adorable artwork. 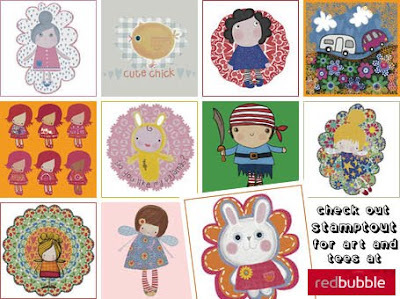 From pirates and fairies, to dollies and bunnies, Stamptout really does have something for everyone. In fact, it’s even got a Thingy-ma-jig too! And you don’t get that in every shop, do you?